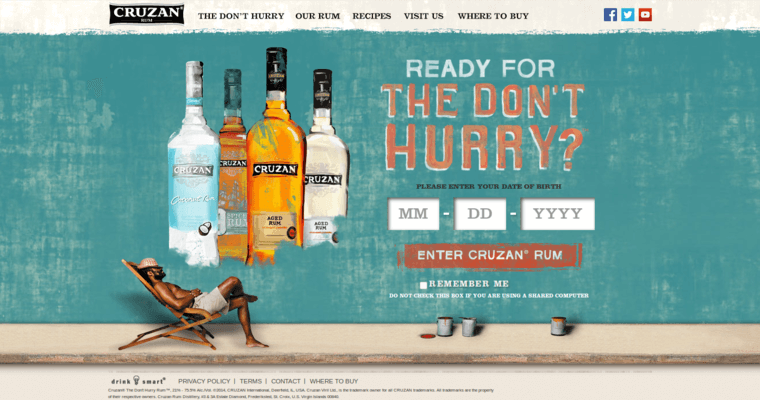 Award-winning for an amazing blend of smooth flavors and spiced fragrances, Cruzan Single Barrel Rum intermingles the uniqueness of vintage, well-aged rums, creating an original, velvety taste. Each rum that goes into making this one has been aged for years, and when combined, the mixture of rums is aged for another decade in oaken casks. These casks are then bottled one at a time, ensuring each bottle features a distinctive, subtly different smoothness and flavor than the one before it. Cruzan Single Barrel Rum includes delicious notes of sweet caramel, warm butterscotch, and a selection of dried fruits and exotic spices. There is also a hint of oaken smokiness, infused from the rum casks. Best when sipped and savored, either straight up or on the rocks, Cruzan Single Barrel Rum has a beautifully rich, golden color, with highlights of amber that shift as the bottle is drained. This is premium rum for those who appreciate finer liquors.